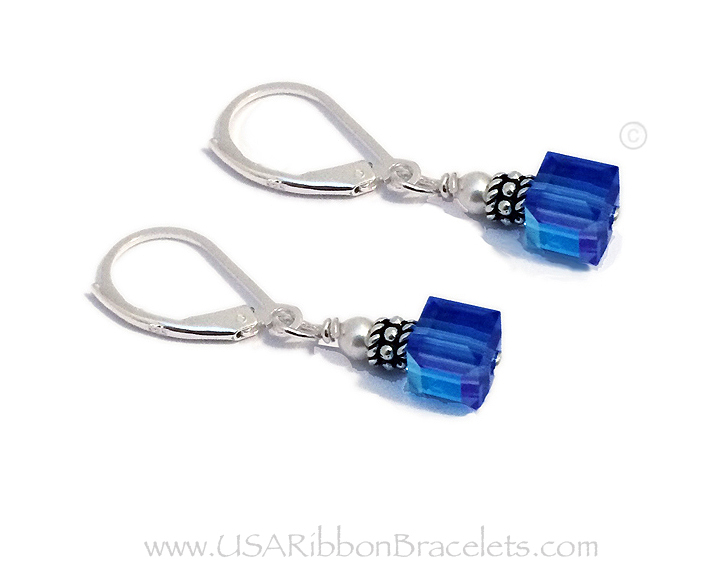 These are September/blue 6mm square Swarovski crystal earrings have a sterling silver Bali bead cap and a 3-4mm sterling silver round ball on top. 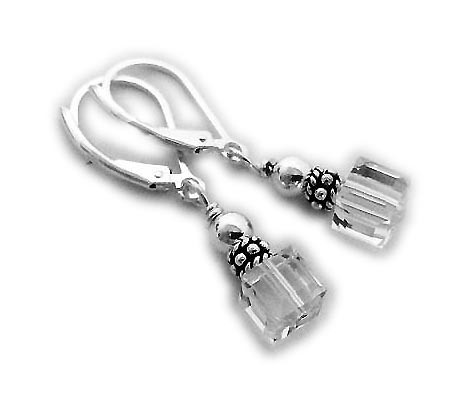 These earrings are also available in 18 other colors. You choose the crystal color, size and shape during the ordering process. We also have several different kinds of earring holders. We off lever back (show to the left), fishhook and post earrings. They are all sterling silver. We also offer a gold lever back option. Questions?